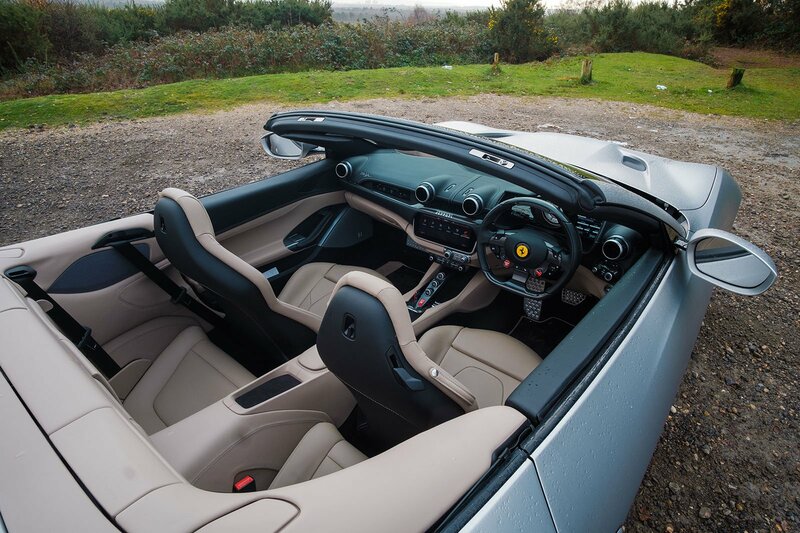 Ferrari Portofino Boot Space, Size, Seats | What Car? 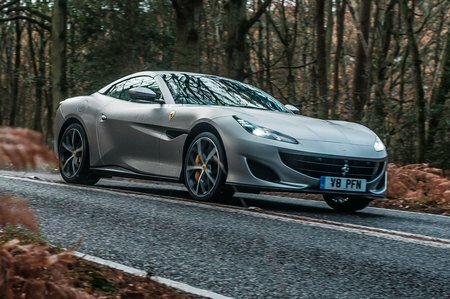 The Portofino might be rather practical as Ferraris go, but it’s still a car better suited to a couple than a foursome. Small windows and low roof might make it feel rather cosy for those in the front, but the seats slide back a long way to accommodate long legs, and there’s a reasonable amount of roof-up head room too. Oddment storage isn’t lacking, either, with a cubby under the central armrest (complete with a pair of USB sockets), a tray under the gear selector buttons and a couple of slender door pockets. Those in the back will either have to be children or exceedingly short; there’s precious little head or leg room, even with the front seats a little way forwards on their runners. Indeed, these “+2” seats are really better treated as a secondary luggage area. The boot itself scores for having a very large aperture with no loading lip, but its luggage capacity varies somewhat. With the roof up it grants you 292 litres of space – exactly the same amount as the Ford Fiesta, on paper, anyway. 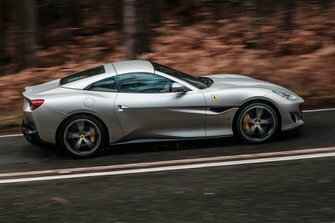 Ferrari actually claims you can squeeze three carry-on suitcases back there, but fold the roof down and you’ll have to leave one of those cases by the side of the road. The solid roof and its folding mechanism takes up a big chunk of the boot, unlike fabric-topped cars like the DB11 Volante.